Well, my Mac quit again... but then it came back! Then it quit again... but that last time it did not come back. I let it sit and let it sit. Nothing. Bummed. Made an appointment at my local Apple store, took it in, told the nice young man my sad story. He said the water probably finally got to it. And since the warranty does not cover damage from spilling liquid on your computer, it would cost me $1,240 to get it repaired. But... he said... they were going to waive the repair fee. They would repair it at no cost! This was this past Sunday, December 26, at 5 pm. He said he would send it in and have it shipped back to my home within seven days.. no cost to me! Wednesday, December 29, I got a package. It was my Mac! All fixed up and ready to go! Amazing! Apple is the best! Look on p. 40 of the December 2010 issue of Runner's World... that's me! Just a little blurb, but hey..
Look on p.61... the whole page! Steven is the guy I got my huaraches from. Two Tales of "Survival, Resiliance, and Redemption"
Over the weekend I started reading a fascinating book - Unbroken: A World War II Story of Survival, Resiliance, and Redemption, written by Laura Hillenbrand, the author of Seabiscuit. It follows the life of Louie Zamperini who, it was said, should have been the first to break the four minute mile. Zamperini started out his childhood in California as a juvenile delinquent, but found that he had distance running talent and eventually became an unbeatable high school miler. Circumstances were such that, though he had virtually no training for the event he raced the 5000-meter in the 1936 Berlin Olympics. He set his goals on breaking the four-minute-mile barrier and running the 1600-meter at the 1940 Olympics, but war broke out (WWII), Louie was drafted and became an AAF bombardier stationed in the South Pacific. Crashing into the Pacific, 47 days lost at sea on a small life raft, captured by the Japanese and tortured in a POW camp... (that's where I am now) ...a truly incredible story of "survival, resiliance, and redemption." Another story of "survival, resiliance, and redemption," this past weekend John and I saw the move, 127 Hours, the story of adventurer Aron Ralston. In 2003, Ralston went out alone for a weekend of outdoor fun in the Utah canyons, telling no one where he was going. A freak fall left him with his arm pinned against a canyon wall by a boulder. The movie goes through the next 127 hours (how long Aron was pinned to the wall in the canyon) with Aron (played by James Franco), trying to get his arm out, move the boulder, chipping away at it with his cheap pocket knife... his emotions, thoughts... until he eventually cuts his arm off below the elbow with the dull pocket knife in order to save his life. You must read this book and you must see this movie!! I like to read the online Science Daily. A couple days ago they reported a study done by the Radiological Society of North America (RSNA) to determine changes in body composition (whole body volume, body fat, visceral fat, and muscle volume) during an ultra-distance transcontinental footrace (Science Daily article here: http://www.sciencedaily.com/releases/2010/11/101129101910.htm; RSNA paper here: http://rsna2010.rsna.org/program/event_display.cfm?em_id=9014632 ). The research team followed ultrarunners in the TransEurope-FootRace in 2009, which started in southern Italy and traveled north approximately 4,488 kilometers (about 2,789 miles) ending in Norway at the North Cape, over 64 days, running 60-90 km per stage. Forty-four runners participated in the study (66% of the total number of entrants). Daily urine and blood samples were taken, and ECG's and other tests were administered over the course of the race. Using a mobile MRI unit, the researchers took full-body MRI's of twenty-two of the runners every three or four days. Results: During the race the runners lost an average of 5.4% of body volume, most of which happened in the first 2000 km. 40% of body fat was lost during that first 2000 km, with 50% lost by the end of the race. Muscle volume loss averaged 7%. 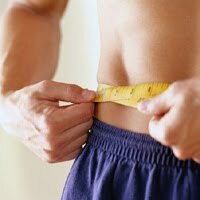 A significant finding for the regular runner is that the greatest amount of both visceral fat loss (the kind of fat found deep in the body around organs as opposed to subcutaneous fat underneath the skin) and overall fat loss happened much sooner in the running process than was thought before. And one of the more interesting conclusions they came to was that running through some types of leg injury is safe. They say that, "if a runner has intermuscular inflammation in the upper or lower legs, it is usually possible to continue running without risk of further tissue damage. Other overuse injuries, such as joint inflammation, carry more risk of progression, but not always with persistent damage." This provides support for running on tired, sore legs. According to Matt Fitzgerald (can't remember offhand which book of his I read this in, but I'll look for it), a short easy run within twelve hours of a hard workout helps in muscle recovery. Most elite runners will do a morning hard speed session and an easy afternoon run. When Jane and I were in marathon training mode, we would do our hard speed workout at 5:30 on Tuesday mornings with a total of around twelve miles, work all day, then meet up again for a short easy run that evening after work. I try to have my runners do a very easy-paced recovery run the day after a hard or long run, if they feel like it, if not the evening of the workout.